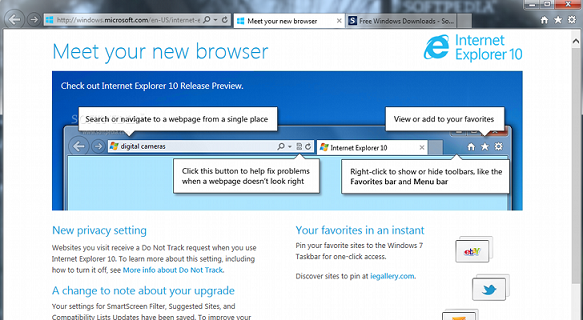 Microsoft will release Internet Explorer 10 for Windows 7 within few weeks. Microsoft currently testing last pre-RTW (release to Web/final) build of the browser that will be made available within few weeks. This is a stable release of Internet explorer 10, There is no official announcement yet from Microsoft yet, IE10 for Windows 7 will arrive at the end of the month or along with the release of Office 2013 launched in February.